Phase transitions take place as heat (i.e., entropy) is exchanged between materials and the environment. When such processes are driven by pressure, the induced cooling effect is called the barocaloric effect, which is a promising alternative to the conventional vapor compression cycle. For real applications, it is desirable for a material to have larger entropy changes induced by smaller pressure. 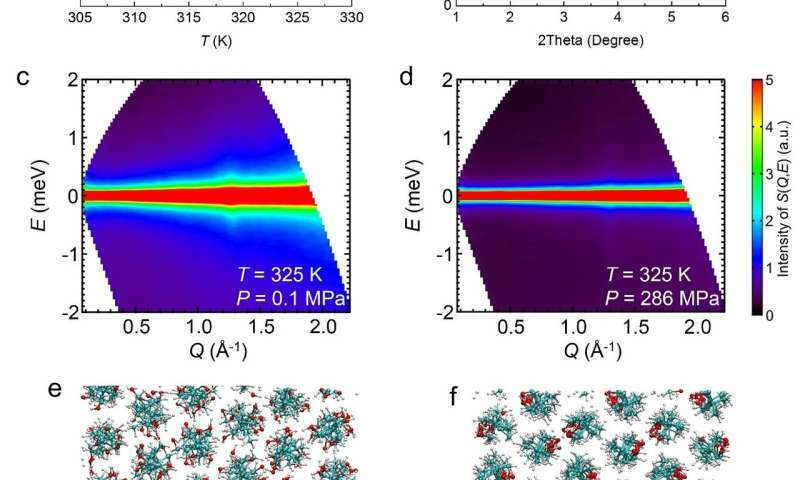 Recently, an international research team led by Prof. Li Bing from the Institute of Metal Research of the Chinese Academy of Sciences has found that a class of disordered materials called plastic crystals exhibits record-large barocaloric effects under very weak pressure. The typical entropy changes are about several hundred joules per kilogram per kelvin, which is 10 times better than previous materials. 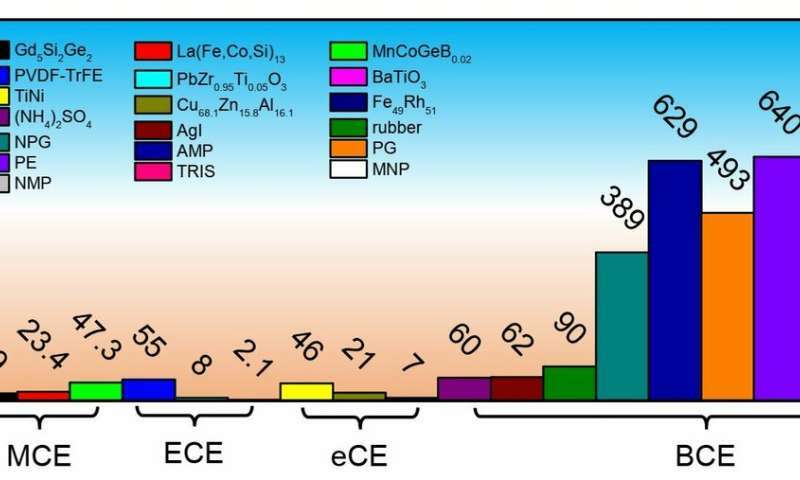 Using large-scale facilities in Japan and Australia, the team revealed that the constituent molecules of these materials are extensively orientationally disordered on the lattices and these materials are intrinsically very deformable. As a result, a tiny amount of pressure is able to suppress the extensive orientational disorder. As a result, pressure-induced entropy changes are obtained. These two merits make plastic crystals the best barocaloric material so far. This research is the first report that entropy changes can exceed 100 joules per kilogram per kelvin. It represents the best results among all caloric-effect materials (barocaloric effect as well as its analogous effects such as the magnetocaloric, electrocaloric and elastocaloric effects), and is regarded as a milestone. The microscopic physical scenario established using the neutron scattering technique is helpful for designing even better materials in the future. As far as refrigeration application is concerned, the plastic crystals reported here are very promising given that they are abundantly available, environmentally friendly, easily driven and high-performance. 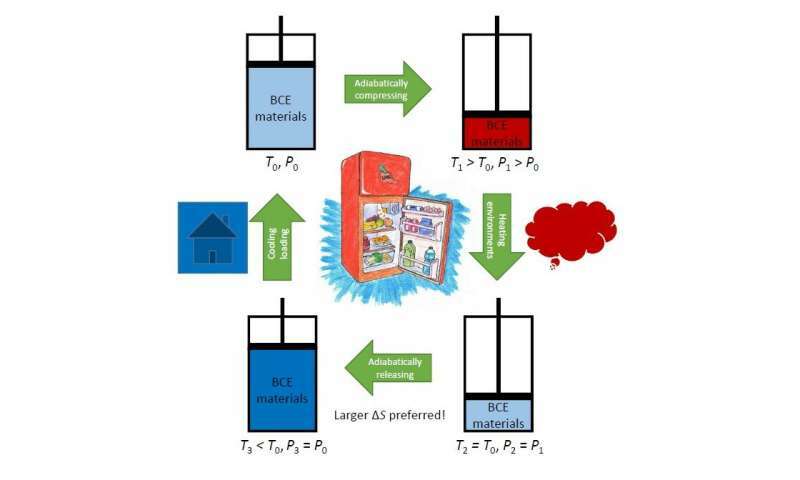 This work points to a new direction for emerging solid-state refrigeration technologies.